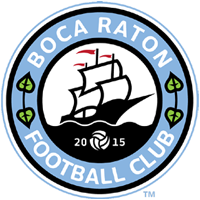 BOCA RATON, FL — Boca Raton FC looks to bounce back from their 4-0 loss Saturday against Miami United FC. As they take on Jacksonville Armada this Saturday 6pm at Atlantic High School. This is will both teams first matchup of the season. In their opening game, Armada drew with Miami FC 2 1-1. This will Armada’s 3rd game in a week as they played 2 open cup games previous to this match. This will be the first meeting between the clubs. Player to watch this week for the Boca Raton FC would be defensive back Breno. He is originally from Brazil but has played locally since high school. He attended St. Thomas University, the team would win the Sun Conference Championship and finish 2nd place in regular season. With a strong offensive attack from the Armada, Breno and the entire back line will have their work cut out for them. Player to watch this week for the Jacksonville Armada is J.C. Banks. He is a midfielder who played for the NASL team last year. He started 28 out of 32 games scoring 5 goals. He has previously played for the Minnesota United FC, where was a treat on the field.